LOC: Kwon Young, Mayor of Daegu. Daegu Metropolitan City and KAAF. Site: Athletics Promotion Center, and Civil Life sports Center. Daegu Auxiliary Athletic Stadium. Cross country at Suseong Family Park. Now the largest Indoor entry to date. Daegu’s theme “Come, Run, Enjoy it” and it was enjoyed so much it was considered the best organised WMA championship to date. (Indoors and Outdoors) The WMA competition team working closely with the Daegu LOC officials made these a superb championship to be remembered by all the athletes and officials. A Welcoming Reception and Athletes Party was arranged and again was outstanding and enjoyed by, athletes, officials, dignitaries and the LOC. There were 23 new World records set during the championship. WMA President Stan Perkins gave the championship top billing over all WMA championships. Finally the LOC compiled the most comprehensive competition report as befit Korean tradition and culture. Thank you Daegu Metropolitan City. LOC: Marton Gyulai,Chairman. Hungarian Athletics Association. Site: SYMA Sports Centre. KSI Outdoor Track and Varosliget City Park. 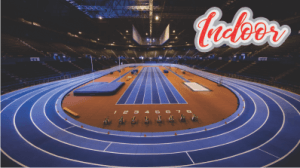 The largest Indoor entry to date, well organised championship with the new WMA competition team having more involvement in the running of the championship. There was 53 World records set during the championships. Site: Hippos Hall, Harju Stadium, Jyväskylä Harbour. Site: Tournament Capitol Centre, Thompson River University. LOC German Regional Federation a.o.